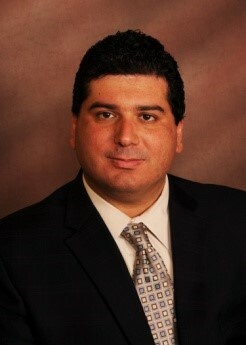 Joseph Pepe serves as the Administrator at the Florida Department of Health in Charlotte County. Prior to his current role, Dr. Pepe served as an emergency planner for the agency developing responses to Public Health emergencies. Before joining the Florida Department of Health Dr. Pepe was the Executive Vice President of Administration at Hodges University and Executive Director at Nova Southeastern University leading campuses in multiple states and three countries. During that time Dr. Pepe launched several medical and allied health programs along with several community partnerships such as the Medical Reserve Corp and the 1st American Legion Post on a college campus to support Veterans returning home. Currently, Dr. Pepe is a current or past Board Member for Junior Achievement of SW Florida, Health Planning Council, National Board Member of Diversity First, Family Self Sufficiency Program and Early Learning Coalition, and Lake Okeechobee Rural Health Network, Chair of the SW Florida Regional HIV/AIDS Consortia, Chair of the Hendry County Emergency Services Council, and serves in an advisory capacity to several non-profit organizations. Currently, Dr. Pepe is working with community partners to develop a comprehensive strategy to improve the lives of all members. Dr. Pepe has presented at several statewide conferences on adverse childhood experiences and their impact upon health and academic achievement. Most recently was a keynote speaker at the annual meeting of the Florida Association of District School Superintendents. Dr. Pepe holds a Doctorate Degree in Education from Nova Southeastern University’s Fischler School of Education and Human Services, a Masters in Administration from Central Michigan University, and a Bachelor’s degree in Psychology/Sociology from the University of South Florida. He is also a Professor at Barry University teaching graduate courses in administration as part of their Masters in Administration. The Florida Department of Health in Charlotte County (DOH-Charlotte) is a state agency that is part of the Florida Department of Health and is governed by Florida Statute 154. The Florida Legislature designed the statute with the intent that county health departments (CHDs) have a unique partnership between the state and the counties to meet the public health needs of the state. To strengthen this partnership the CHDs and the counties enter into a contractual arrangement which is renewed annually. DOH-Charlotte employees view you as the owner and customer of this organization. As such, we always strive to make sure you have a great experience every time you do business with us. We are always looking at new and better ways to assure that we all live in a healthy community. Likewise, we are always looking at how we can create more public health value for you while making the best use of your time and keeping costs down. 1. Delivering Public Health Services. 4. Monitor Public Health trends. 8. Assure a competent public health and personal healthcare workforce.